Academician Professor Susan McKenna-Lawlor is a Full member of the International Academy of Astronautics and Chair of its Commission I (Basic Sciences). MAYNOOTH, IRELAND, September 26, 2018 — Marquis Who's Who, the world's premier publisher of biographical profiles, is proud to name Susan McKenna-Lawler, a Lifetime Achiever. 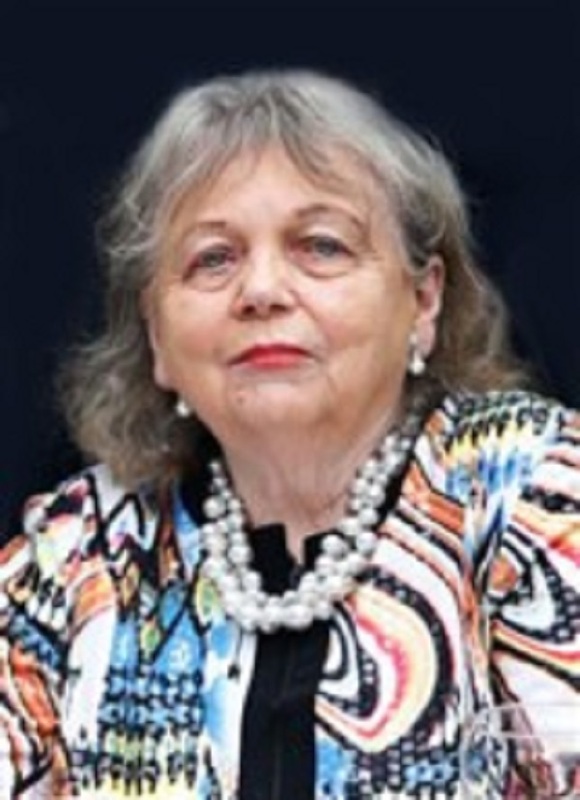 An accomplished listee, Academician, Professor Susan McKenna-Lawlor D. Sc. celebrates many years' experience in the fields of experimental physics (space science), space engineering and university education. She is noted for achievements in all of these areas, as well as for her leadership qualities and for the credentials and successes she has accrued professionally over the years. As in all Marquis Who's Who biographical volumes, individuals profiled are selected on the basis of current reference value. Factors such as position, noteworthy accomplishments, visibility and prominence in a field are all taken into account during the selection process. An astro/space physicist born in Dublin, Ireland Susan McKenna-Lawlor was conferred with BSc/Special, MSc and PhD (1976) degrees by the National University of Ireland (NUI) and went on to become a research scholar at the Dublin Institute for Advanced Studies and at the University of Michigan. Returned to Ireland she acted as a lecturer in the Department of Experimental, Physics at NUI Maynooth, progressing from Lecturer through Department Head, Member of the Senate of the University to (currently) Professor Emerita, taking responsibility along the way for: lecturing at all academic levels; supervising M.Sc/Ph.D. thesis work and setting/correcting examinations in Experimental Physics for the University. Also, she acted as Guest Professor at the Chinese Academy of Sciences Center for Space Sciences and Applied Research in Beijing (2002-2007) and was conferred with an honorary D.Sc. for published scientific work by the University of Ulster (2005). Susan McKenna-Lawlor founded the SME/High Tech. Company, Space Technology Ireland Ltd. in 1985 which provides experiments and subsystems for space missions and has, in the capacity of its Technical Director, participated ever since in providing hardware flown on major space missions launched by the American (NASA), Chinese, European (ESA), Indian and Russian Space Agencies – including the mission critical Electrical Support System for ESA's Rosetta Mission). These missions explored destinations that included: Halley's Comet and Comet Churyumov–Gerasimenko; Asteroids Steins and Lutetia; the Moon, Earth, Mars and Venus. Instrumentation for launch by ESA to Mercury in 2018 aboard Bepi Colombo and to Jupiter in 2022 aboard JUICE are presently in preparation. She has also acted as Principal Investigator/Co-Investigator for many international space borne experiments and is the author/co-author of more than 200 refereed publications as well as of several scientific and technical books (including 'Essential Spaceflight Dynamics and Magnetospherics' (2003) and 'The energetic particle radiation hazard en route to and at Mars' (2017). Among many international awards has been the Russian Tsiokovsky Gold Medal for 'Outstanding Contributions to Cosmonautics' (1988); induction as Honorary Citizen of San Jose, California for technological achievement (1991); also recipient of the Irish Laureate Woman of Europe Award (1998); the Slovak Academy of Sciences International Prize for outstanding scientific work (2005); participation in the, Double Star and Cluster Laurels for Team Achievement Award and also in the Laurels for Team Achievement Award for providing significant contributions to the Philae Lander Mission Team – conferred by the International Academy of Astronautics (2010, 2015). Also, she was conferred with Honorary Fellowship of Engineers Ireland (2018), is a Fellow of both the Institute of Physics and the Royal Astronomical Society (London), and a Member of the International Astronomical Union. She is a Full member of the International Academy of Astronautics and Chair of its Commission I (Basic Sciences). A Member of the Steering Board of ESA's Space Weather Working Team; Chair of ESA's Topical Team 'Spacecraft, Aircraft and Launcher Environments'; Member of ESA's Topical Team on Space Radiation. Member of the IAF's International Space Exploration Committee and Co-Chair of its section on 'Small bodies missions and technologies; in addition, she acts as an Editor of the Journal 'Advances in Aerospace Science and Technology'. In recognition of outstanding contributions to her profession and the Marquis Who's Who community, Susan McKenna-Lawler, D.Sc., has been featured on the Marquis Who's Who Lifetime Achievers website. Please visit www.ltachievers.com for more information about this honor. Previous articleGRAMMY® Award-nominated Artist Marsha Ambrosius Guest Speaker for 2018 MPAC Film Festival!